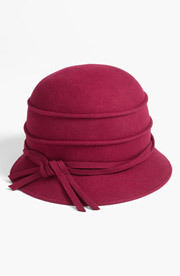 Keep warm in style with this elegant cloche with a delightful retro vibe. Don’t you think the beautiful berry shade will add a happy splash of colour on the coldest of days? Runs big.